Bicycles may not be left in public areas (e.g., hallways, stairwells, balconies) or attached to banisters or access ramps. Bicycles that are illegally parked or chained to something other than a bike rack may be impounded. Throughout the year, bicycle racks are cleared of abandoned bikes and bicycle parts. Bicycles removed by the University will be held for 30 days and are then considered abandoned. 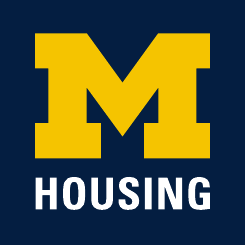 Munger Graduate Residences provides two indoor bicycle areas for residential bike parking.